A joint venture of BAE Systems and Rockwell Collins has received a $47.5 million contract from the U.S. Navy‘s Space and Naval Warfare Systems Command for the delivery of joint tactical radio systems to U.S. and coalition forces. 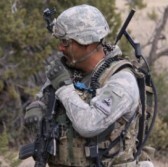 Data Link Solutions will provide Multifunctional Information Distribution System JTRS units to replace legacy radios of the service branch and coalition forces, Rockwell Collins said Tuesday. Alan Dewar, director of DLS, said the company aims to deliver reprogrammable software-defined radios designed to support tactical data links through the contract. The contract represents an increase in terminal orders from the Navy and U.S. Air Force as military customers begin to transition platforms into MIDS JTRS. MIDS JTRS is designed to increase users’ situational awareness in the battlefield with the availability of line-of-sight data, video and voice communications capacity for air, ground and sea systems.